Diesel fuel is the life blood of the equipment working at your jobsite. Heavy equipment, machinery and generators need a constant supply of quality diesel fuel and it’s timely delivery can be the key to keeping your project on schedule. It’s critical to talk with your fuel supplier to determine the type of fuel service your project will need- a temporary site tank with a 12v pump or regular deliveries directly to your equipment. Too many contractors still send their crews out to gas stations to pick up fuel for the job site, wasting productive work time driving around & picking up their fuel in small quantities. 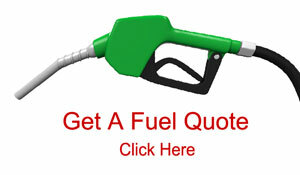 Professional fuel suppliers bring their fuel right to the work site. And they bring dyed diesel, dyed red to identify it as a non-excise taxed and specifically for off road usage. Winter weather in the northeast requires specially treated diesel for maximum efficiency and dependability, keeping your fuel lines and filters clear and ready to perform. Your diesel fuel delivery supplier should have cold weather treated fuel available when you need it, fuel ready to stand up to all that mother nature throws at us. Allied Oil winterizes it’s on & off road diesel with premium fuel chemistry and we start early so the fuel in your tanks and the fuel in your equipment is fully treated long before those deep winter freezes hit. Whenever possible having a ready supply of fuel on hand at the work site takes one more concern off your plate when pushing hard to stay on schedule. Allied Oil maintains an inventory of double walled steel skid tanks just a phone call away. Whether you need a 500 gal tank or a 2,000 gallon tank, we have them, whether you need 110v or 12v pump we have them. 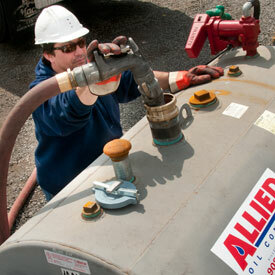 Allied Oil stands ready to support your work site with the tools and equipment necessary to get the job done. Dependability may be the most important criteria for selecting a fuel supplier. When you don’t have fuel, productivity stops. Allied Oil was one of the leaders in deploying remote cellular inventory monitors on fuel tanks so we could see from our offices just what tanks were starting to run low even before our customers could. For more information, visit our diesel fuel delivery page on our website and see our service areas as part of your selection process. We welcome the opportunity to make your job site perform in the most efficient and productive manner possible.